Guests will be collected from any centrally located hotel in Fethiye around 10:00am to meet in the Alaturka office for check in. You will then all be taken to your gulet for a briefing about your cruise. 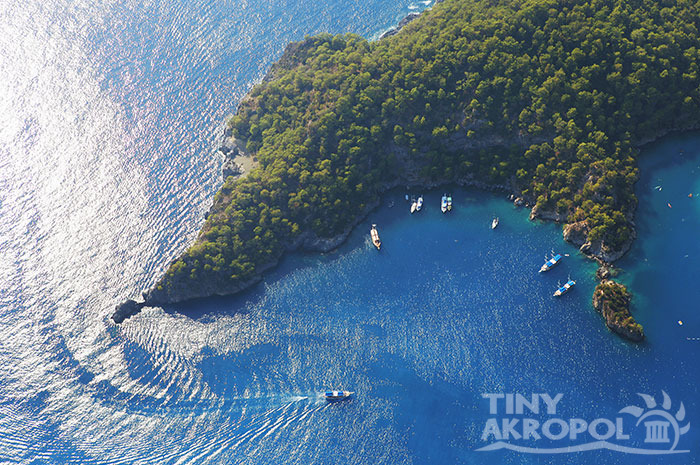 You then depart Fethiye harbour around 11:00am to 11:45am and cruise to the near by Tarzan Bay for the first of our swimming stops. Here you can dive into the waters and swim over to the rope to swing off, that gives this bay its name. After lunch we will then cruise onto the beautiful 12 Islands region. You can catch sunset tonight from Tersane Island and enjoy a welcome drink with the crew and fellow passengers. This morning you will get to stop and swim at Aquarium Bay before we move onto the famous Cleopatra's Bath. Here you can swim among the ancient ruins, which it is said to believe that Mark Antony gave these baths to Cleopatra as a wedding gift. You have plenty of time to explore the ruins as we will spend the night here. 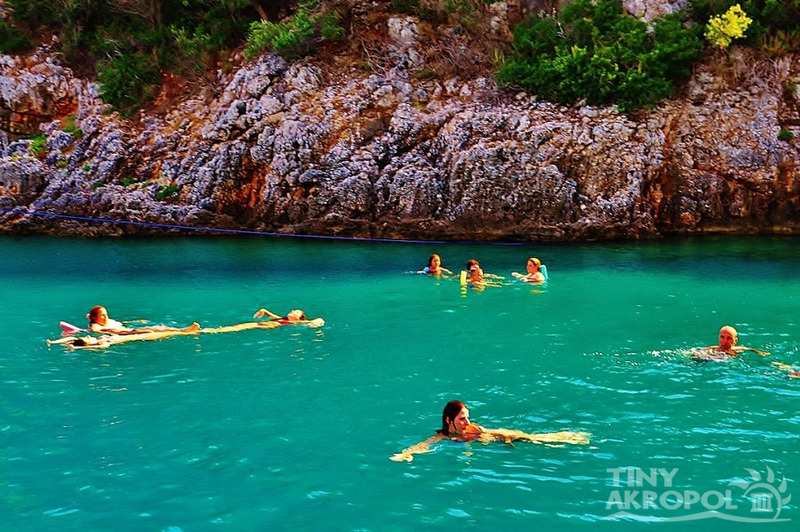 This morning we head for Bedri Rahmi Bay, which is one of the more popular spots along this cruising route. Look out for the fish painted on a rock done by Bedri Rahmi himself back in 1973. Our last stop of the day will be Yassica Island, which is a great place for a swim in the crystal clear waters. That night we will anchor near Yassica Island. 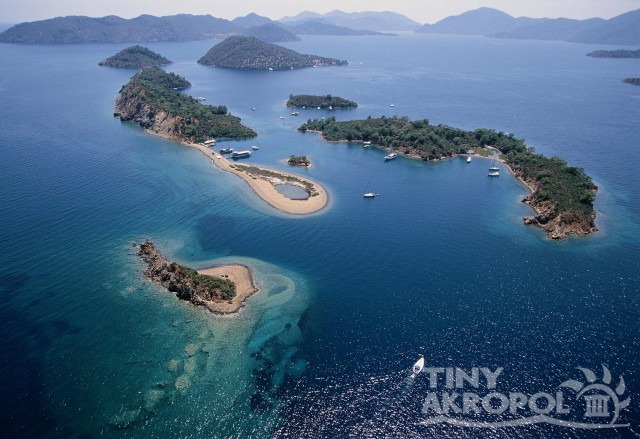 Today we will enjoy our last day on the cruise with a journey to the lovely and quiet Gocek Bay where you can soak up the tranquility and swim or snorkel in the turquoise waters. 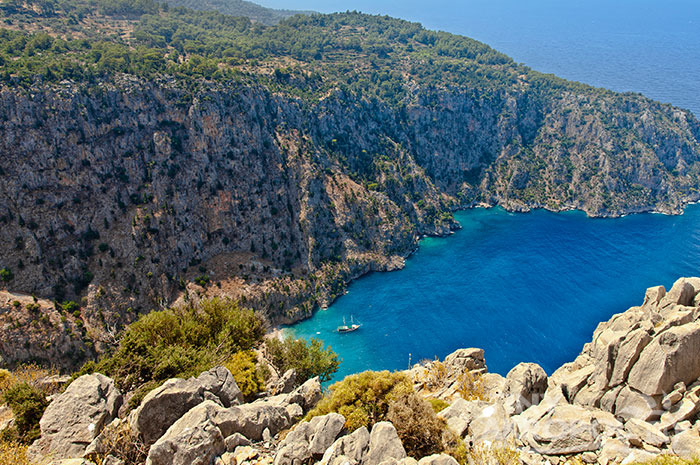 You will get to also visit Kizil Island on the way back to the port of Fethiye, where the cruise will end. Please note: transfer services onto Fethiye Hotels is not included. IMPORTANT NOTICE All efforts are made to follow this itinerary, however in cases of poor weather and/or sea conditions, this schedule may change at Captain's discretion. Our passenger's safety is number one priority. This could include daily destinations as well as overnight stops. If these situations arise, all efforts will be made to consult customers on alternative options. No money will be refunded.